“No Other Walk Comes Close to the Angels Walk for Autism”. 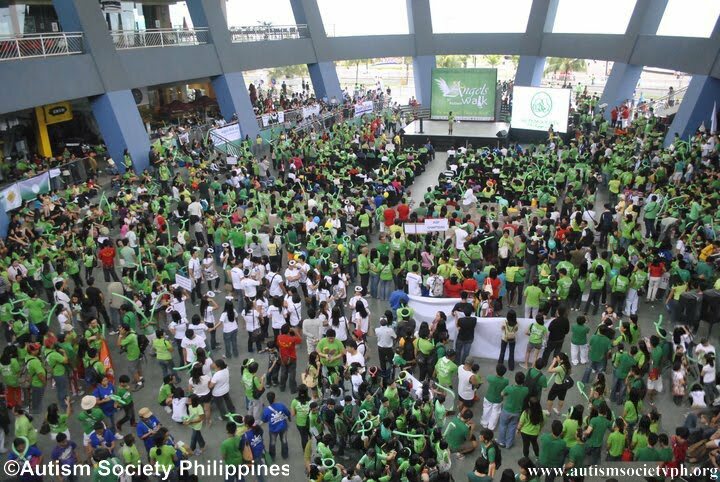 Afamous tag line of Autism Society Philippines’ annual angels walk. The walk serves as the opening salvo of the week-long celebration of the Autism Consciousness Week. From the initial 2,000 participants of the first walk at the Cultural Center of the Philippines’ complex in 2007, ASP is now expecting more that 5,000 individual to join the walk that will start at the Music Hall of SM Mall of Asia on January 22, Sunday at 8AM. Famous personalities like Secretary Dinky Soliman of the Department of Social Welfare and Development (DSWD), Mar Roxas of the Department of Transportation and Communication (DOTC), Rogelio Singson of the Department of Public Works and Highways (DPWH), Ramon Paje of the Department of Environment and Natural Resources (DENR), Admiral Liwag of the Philippine Coast Guard (PCG), Cong. Irwin Tieng of Buhay Party List, Chairperson Etta Rosales of the Commission on Human Rights (CHR), Ms. Risa Hontiveros of Akbayan and Ms. Annie Garcia of SM Supermalls were invited to grace the occasion. So come on, let us be Angels for Autism and fly to SM Mall of Asia to join the 2012 walk and together let’s soar higher to reach our dream of an Autism Friendly Community!